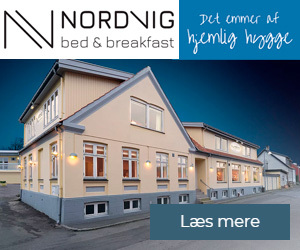 Come to Bornholm to enjoy an active holiday. 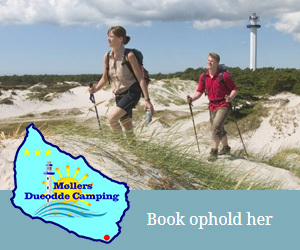 Bornholm is the best place in Denmark for outdoor activities. Throw yourself into the fun, find your balance and use the wind to propel you forwards. Windsurfing is a sport which all the family can participate in on Bornholm. Try your skills at windsurfing on Balka beach, the ideal place to learn. Go climbing in Bornholm’s unique rocky scenery with spectacular views of the sea. Try abseiling at a derelict quarry in one of the island’s fantastic rift valleys. Bornholm is the perfect place for climbing and abseiling. The Bornholm landscape offers a wealth of opportunities for climbing and abseiling, and the uniquely varied geography ensures a truly exciting experience with many different challenges. On Bornholm, it is even possible to climb coastal cliffs above the sea. Or climb in working and disused quarries, in rift valleys, on ice … there is nothing to stop you from climbing and abseiling on Bornholm all year round! To explore skerries without leaving the Danish coast, take a trip around Bornholm in a sea kayak. Bornholm boasts an impressively scenic and varied coastline, in particular the special skerries on the east coast. Hammeren, which is distinguished by the high rocks towering above the sea, always looks impressive, while the sandy beaches and dunes at Dueodde offer a welcome contrast for sea kayakers. Numerous runs are held on Bornholm throughout the year, so you will certainly be able to find one that matches your wishes and level of fitness. If you are holidaying on Bornholm and want to keep in shape, enter one or more of the exciting runs which are staged on the island. It is also an excellent opportunity to meet many of the Bornholm runners who love getting out into the scenic Bornholm countryside! Travel to Bornholm and enjoy the fantastic terrain on two wheels. Large woods, rift valleys and hills make Bornholm the perfect destination for mountain bikers, racing cyclists and touring cyclists. Bornholm has more than 230 km of signposted bicycle paths which wind their way through forests, along the coastline, down small country roads and mostly far away from other traffic. Bornholm also has two mountain bike routes in Almindingen, one of the largest forests in Denmark. 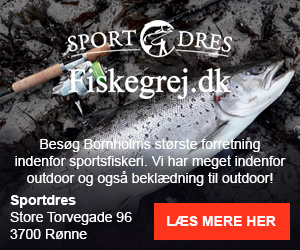 Bornholm is a true mecca for those who enjoy fishing! Bornholm is the place to go if you want a serious fishing holiday with your friends, but also for families looking to spend a few enjoyable hours together outdoors. Come and try the many walks on Bornholm, and discover the island’s magnificent scenery. Bornholm is criss-crossed with paths: rescue paths, forest paths, beach paths and cliff-top paths. Walkers can either choose to walk around Bornholm in one go or divide the island into shorter sections. Whatever, Bornholm offers countless unforgettable walks. Welcome to an abundance of outdoor activities on Bornholm! Need equipment or similar for your outdoor activity? 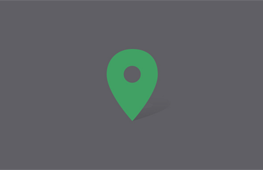 When you go out in nature it could be a great idea to have a local guide with you.